For me there are certain writers and artists and combinations thereof from DC’s greatest era that simply scream Silver Age. Gardner Fox, John Broome, Otto Binder, Edmond Hamilton, Gil Kane, Murphy Anderson, Mike Sekowsky, Sid Greene, Carmine Infantino, Nick Cardy, Andru and Esposito and so on. Therefore, it’s always a pleasure to lose myself in a classic tale crafted by the thinking man’s (or woman’s) author, Gardner Fox, teamed up with the always superb Murphy Anderson in the artist’s chair. It’s from Hawkman #7, April/May of 1964 where Hawkman and Hawkgirl deal with the “Amazing Return of the I.Q. Gang!” The rest of the stellar creative team includes Editor Julius Schwartz and the wonderful Gaspar Saladino on letters. Obviously “Amazing Return” indicates a prior appearance, which occurred in Mystery in Space #87 from November of 1963 with the same characters and creators involved. And where, might you ask, does the name of the I.Q. gang originate? Why, with Ira “I.Q.” Quimby. Ira is, of course, in the lockup at the beginning of the story, and flagrantly ignoring the dangers of melanoma, constantly bathes himself in as much sunlight as possible at every given opportunity. There is a reason, though. It turns out that Ira’s brain power is increased with the exposure to Sol, due to the fact that, in Midway City, Hawkman and Hawkgirl’s home turf, specifically the museum, he’d spent time checking out a rock fragment from Rann. When it was exposed to sunlight it made Ira brilliant. Much like Superman, Quimby had enough exposure that the stone’s properties are embedded in him and are triggered by more sunshine. It’s given him enough smarts that he has successfully doped out an escape plan using a pinwheel. It’s not an ordinary pinwheel, however, and out in the yard, he pulls it out and gets it rotating and the special properties cause it to literally bend light rays around him, making him invisible. A side effect is that he cannot see, but he’d memorized the way out and strolls to freedom. It isn’t long before Carter and Shiera Hall get word that their old foe has escaped the joint, so the Thanagarians go into action with a tracking device developed by Hawkman that will home in on Ira’s brain emanations. Unfortunately for the winged wonders, the I.Q. enhanced Quimby is a step ahead of them and uses a jamming device to shake them off the trail. Then it’s back to plotting the perfect robbery. Hawkman takes other precautions, showing Ira’s mugshot to the local bird life and asking them to alert him if he’s spotted. Next thing you know, a most bizarre theft is taking place when many golden art objects that had been on a special display abruptly fly into the sky where they are scooped up by the I.Q. gang who are riding what can only be described as a cross between a unicycle and an axle with paddlewheels somehow allowing them to take flight. Alerted by their bird allies, Hawkman and Hawkgirl arrive to disrupt the sky high thievery. Soon, they’re down to apprehending just I.Q. himself, but Quimby won’t go quietly and leads them into a trap. A massive net falls over our heroic duo and it’s no ordinary net. It responds to a remote control in the criminal’s mitts and he’s able to manipulate it to where it keeps the Winged Wonders off balance and he sends it hurtling toward a sheer cliff wall, closing out part I. Part II shows the trapped Thanagarians still headed toward certain doom when Hawkman instructs his wife and partner to turn her anti-gravity unit to the maximum while he does the same in reverse, pulling them apart and ultimately the net itself. They successfully escape the trap before being splattered against the cliff wall. Returning to the rooftop where the crooks were trussed up, they discover I.Q. beat them to it and they are left to find the trail again. 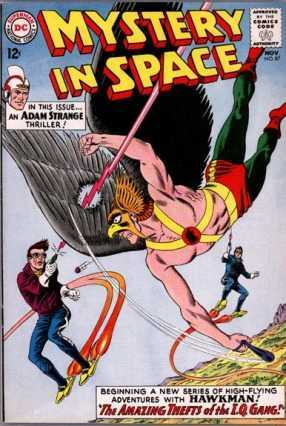 Fortunately they still have their own personal detective unit in the birds and Hawkman has also used his know-how by pre-coating his bolo weapon with traces of a radioactive chemical. Special lenses in their ensemble will allow them to track where it had been on their clothing. Soon, the Flying Furies have crashed the I.Q. gang’s hideout. Ira still has a trick up his sleeve, however, and activates the same light ray bending technology to turn the inhabitants of the room blind. Hawkman instinctively uses his wings to try to disrupt things and he begins to have some success when he can make out faint outlines of the gang. It turns out Quimby has placed pinwheels all around the room. In the next moment, Ira deploys another lever, still exploiting the distortion, but in a new way. 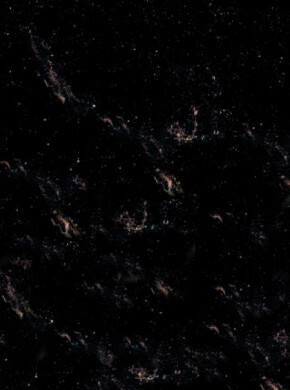 Now it appears that body parts are floating all around and it’s all but impossible to discern where they really are. 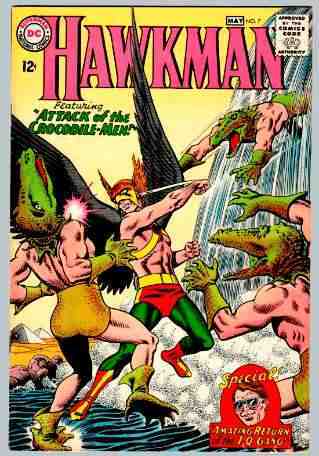 Undaunted, Hawkman and Hawkgirl fight on. The occasional lucky punch lands, but they soon realize how to solve things. They must disable the pinwheels. In short order they manage just that and soon the entire gang is trussed up and ready to be turned over to the authorities, bringing this imaginative tale to a close. Again, this was a good sampling of classic Silver Age fare and while Hawkman has inevitably been something of a second stringer, in the right hands he is every bit as formidable as his fellow JLA members. I’ll give this one an 8 on the 10 point scale. Do joint us again the middle of the month for a new review and keep those notes rolling in at professor_the@hotmail.com.